A wonderful close-up on this hibiscus, so sharp and clear. Thank you very much for sharing it. That looks great. I can’t wait until they start blooming around here. 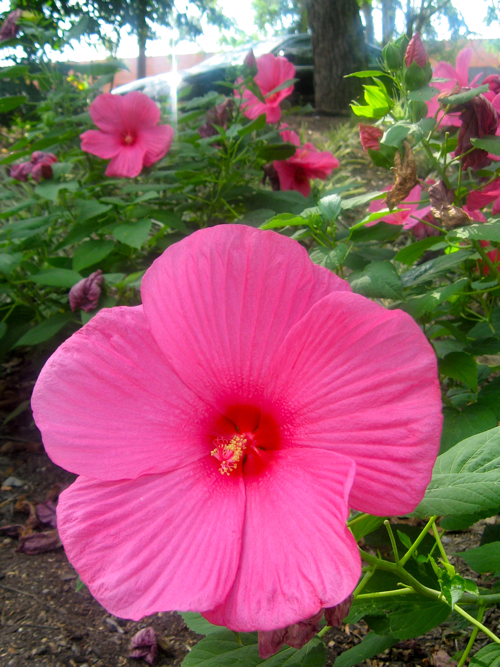 Great hibiscus flowers! Thanks for sharing. Very nicely photographed and very pretty Hibiscus.